Pasta with Pesto and Roasted Vegetables has long been a family favorite. The Seattle Times published the recipe years ago and reported that the idea came from The Pink Door restaurant in Seattle. I have never made homemade pesto; the recipe would undoubtedly be infinitely better if I did. 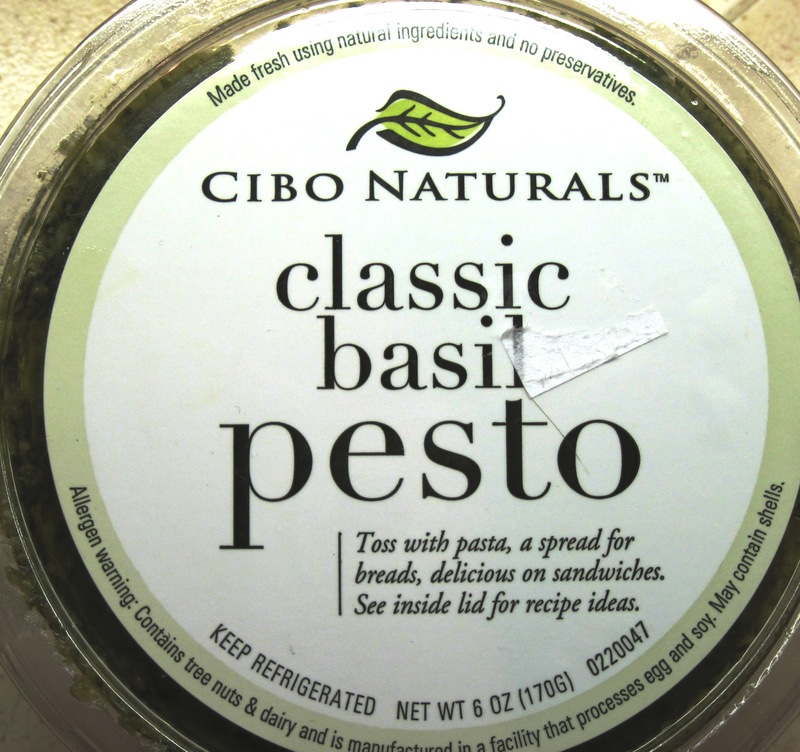 I use Cibo Naturals Classic Basil Pesto; it’s quite good and makes this recipe “quick and easy”. 1. Heat the oven to 400˚. 2. 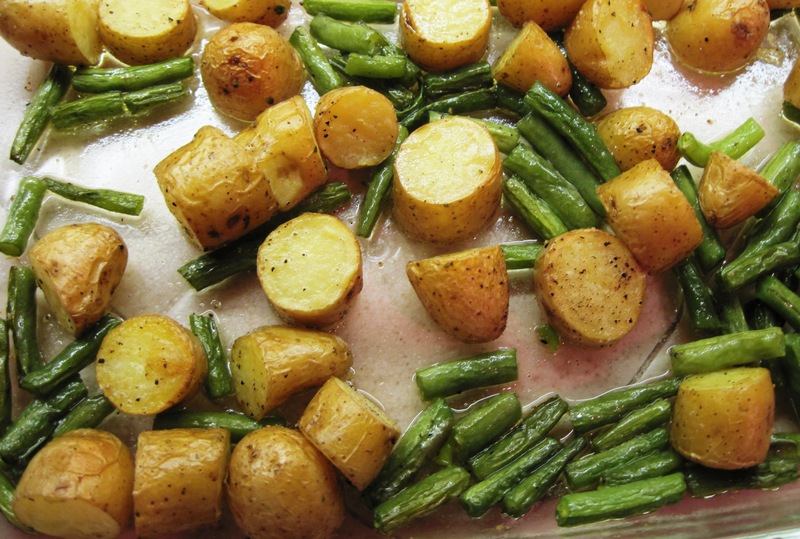 Put the potatoes and olive oil in a baking dish and toss to coat the potatoes well. Sprinkle with salt and pepper and roast for 15 minutes. 3. Add the green beans to the potatoes. Stir them all together and roast for about 20 minutes more. 4. About 10 minutes before the potatoes and beans are done, cook the pasta. 5. 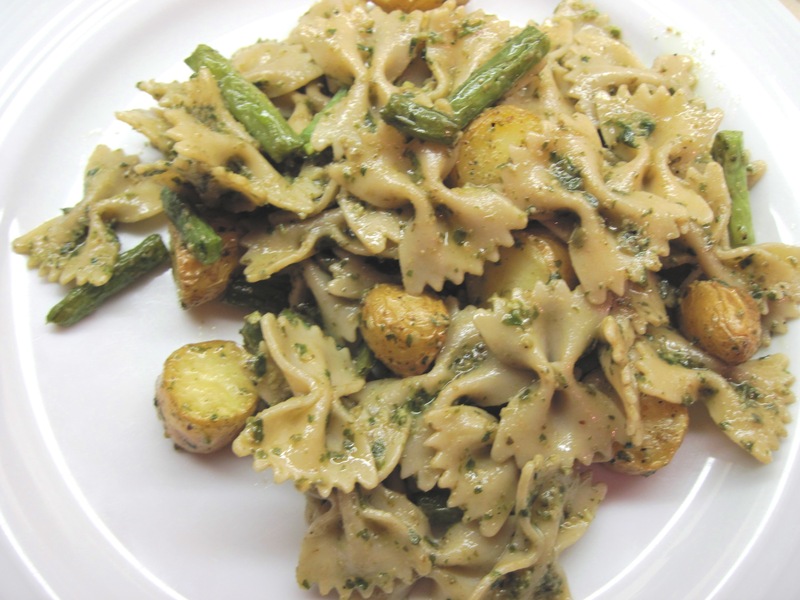 Combine the roasted vegetables, pasta and pesto. Add salt and pepper to taste. This is *indeed* a family favorite. Yum! Yeah, I think that’s why I haven’t made it. I knew that you would need a garden-full of basil to make it worthwhile. And I haven’t had much luck growing it. I bet your pesto is yummy, though! Laura made us this pasta for dinner the other night. It was deeeelish! Did Laura use homemade pesto?